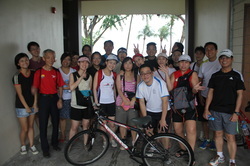 Biking Singapore has once again fulfilled our objective of combining Team building elements with Charity all in 1 program! 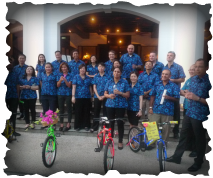 This time round the company who benefitted from our Build-A-Bicycle Charity Teambuilding is none other then ANZ Bank. 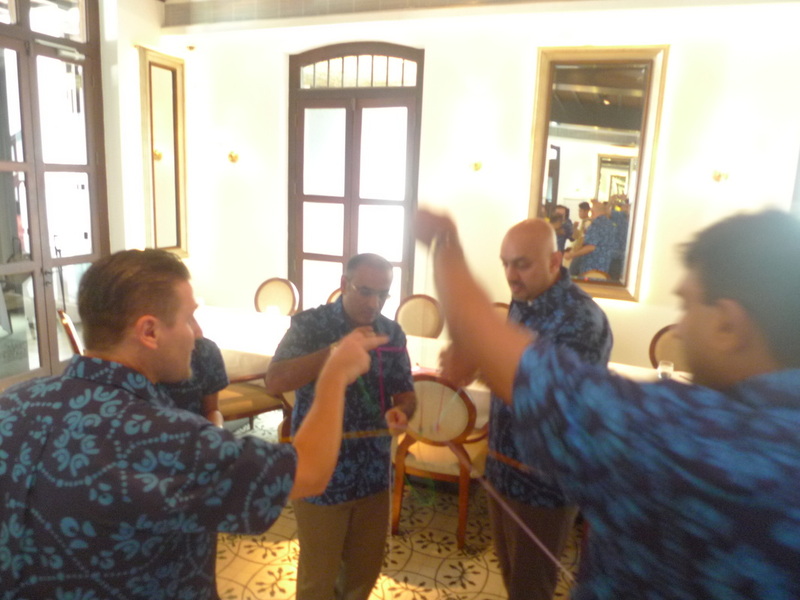 With a clear focus on wanting a unique and team bonding team building session, the organisers put our team to task to organising an unforgettable experience for the well seasoned management of ANZ Bank. Sporting their signature blue, teams from ANZ Bank walks into Alkaff Mansion with great energy of excitement and of course a thirst for water with the hot weather. Starting with a short tea reception, our facilitators could feel a great energy radiating from the participants who eagerly asks us for what's to come! Surely we had to keep their curiosity at bay as we answered in mystery by pointing at the bicycles at the activities area. "We are going to be cycling!!!" shouted one participant while some other cringed at the thought of cycling at this weather. We couldn't help but let out laughers as we see our participants getting tickled with the prospects of what is to come! Kicking off the session was a round the table ice breakers to get our participant warmed up for the afternoon. There was loads of laughers and applause as participants shared much of themselves through the team bonding ice breakers. Having so much fun seeing colleagues who are usually serious and stern at work, one participant said "If any one walks in on us, they would never guess that this is group of Management Bankers! 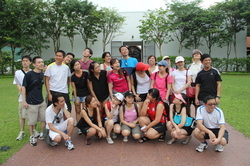 We look like a bunch of teenage children out for an excursion!" That statement brought out even more laughers and we agree! At Biking Singapore, we want to bring the inner child in every participant because that breaks all barriers and allows us to walk into your life. 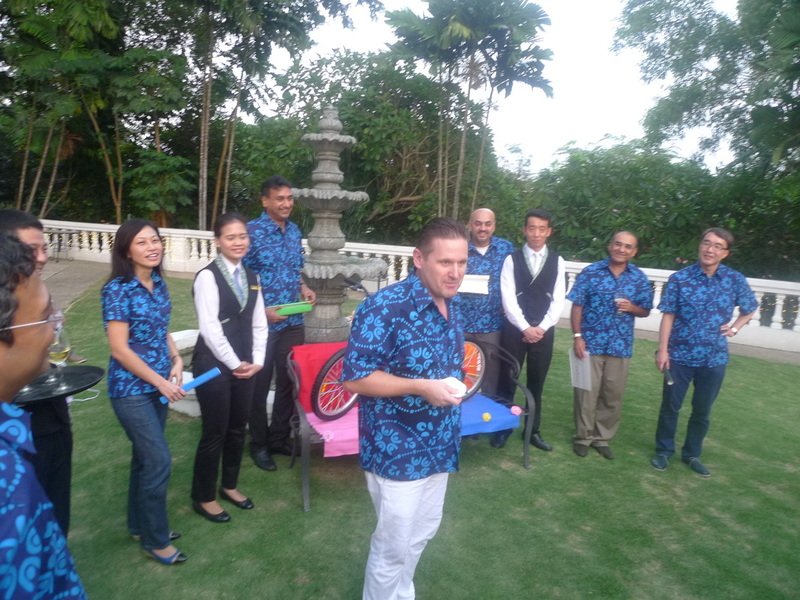 That's how we introduce team building to you and make it work! The whole session was full of life and energy as participants worked in teams to ensure the objective and creative juice was always flowing. Participants showed great brain storming skills as they came together pitching in ideas on what their bicycle design should be. With a concrete plan in hand and a desire to emerge top of the challenge, teams begin putting plans into action as they dished out responsibilities to each and every members. We had to applaud participants from ANZ Bank as though they work as competition, we saw a lot of sportsmanship in them. 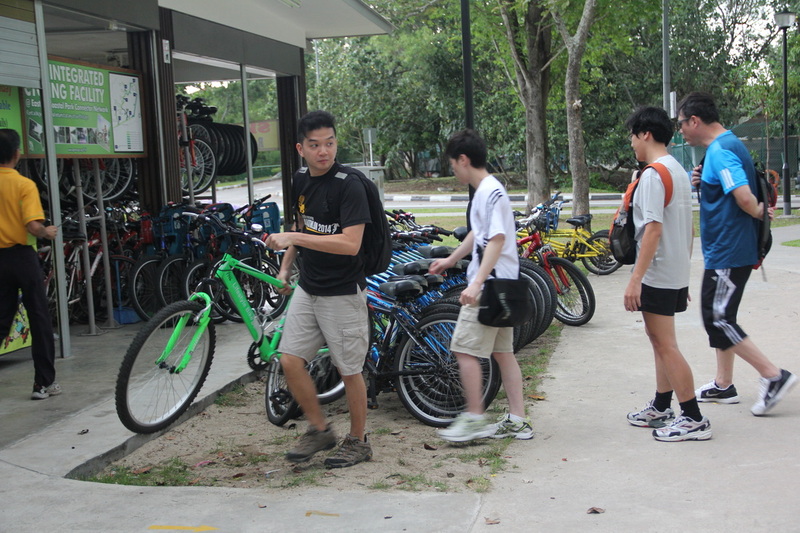 We had members from other teams who went around helping other teams who had difficulties putting the bicycle together. This was team spirit at the best! We were certain to put this in our team debrief at the end of the session as we wanted this key element to be locked in as one of their key team building objective. Of course we had participants who had never held a tool in their hands shouting out desperate call for help. "How does this metal thing work!" , "Where is the ON button on this thing?" , "Can I pay you $10 bucks to get this stubborn nut into the bolt". where just some of the tickling outburst we heard through the evening. 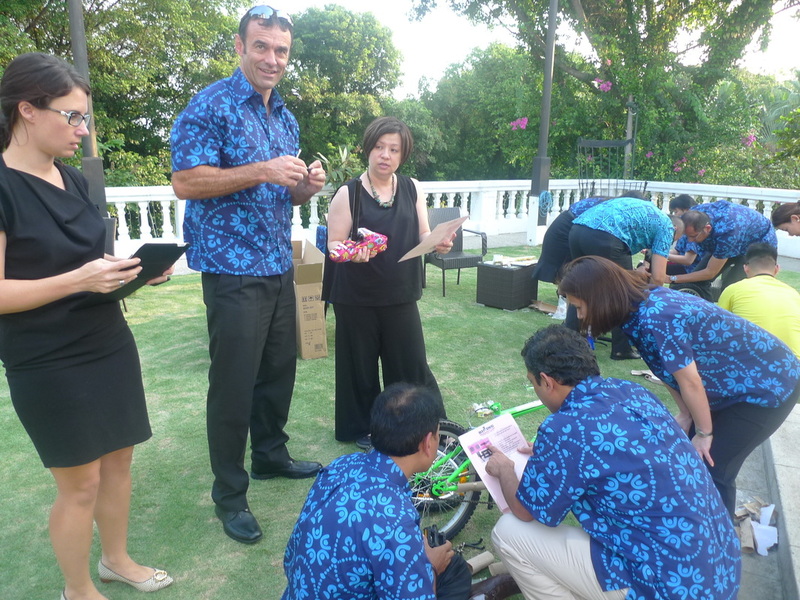 With the completion of the tasks at hand, teams begin to present and market their bicycles to the panel of judges. Teams really pulled all tricks out of their bags as they recruited children from dining tables and staff from the diner to boast their image! 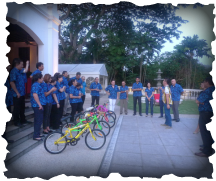 We had great speakers who brought tears to our eyes as they shared on their vision of their bicycles. No wonder these guys are the top management in the bank! As the sun sets on this cool evening day, our panel of judges has announced the result on the team who wins the Build A Bicycle Charity Teambuilding. Teams rounded high-5s through the group and we even had a ANZ cheer from the winning team! 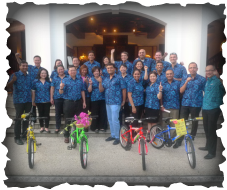 With the closing, we announced that the bicycles would be donate to our local charity home, Sun Love Marsiling. We drew cheers from the teams as they know their handwork will be rewarded with an opportunity to return back to society. We thank ANZ Bank for this opportunity for us to deliver the perfect team building session for them and at the same time, help our children by giving them a gift of kindness. The teambuilding session ended very well as teams gave each other pat on the back and words of gratitude for pushing through the terrain. 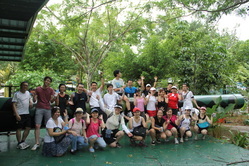 We applaud their fighting spirit and genuinely hope they enjoyed our teambuilding program for them!